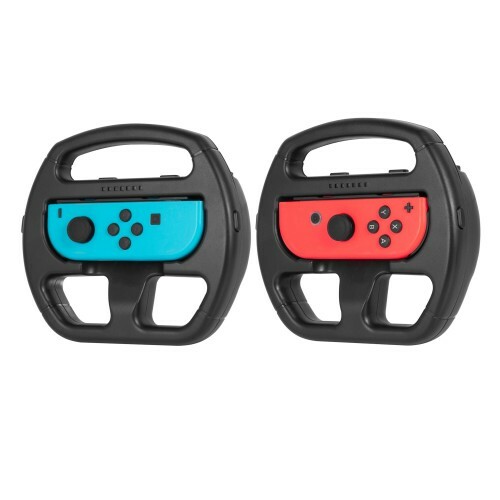 Keten Nintendo Switch Wheel Mario Kart Steering Joy-Con Wheel for Nintendo Switch Games (2 Pack) . l . Designed specifically for Nintendo Switch. Used for the left and right of Switch Joy-Con. 2. 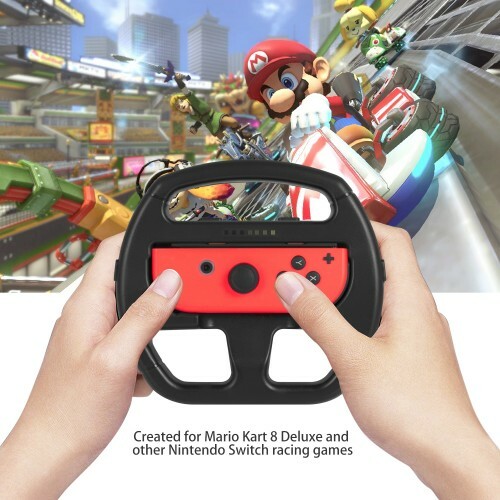 Simply slide your joy-con into the central panel of the mario kart steering wheel accessory, to become a fully compatible racing wheel for Mario racing games. 3. 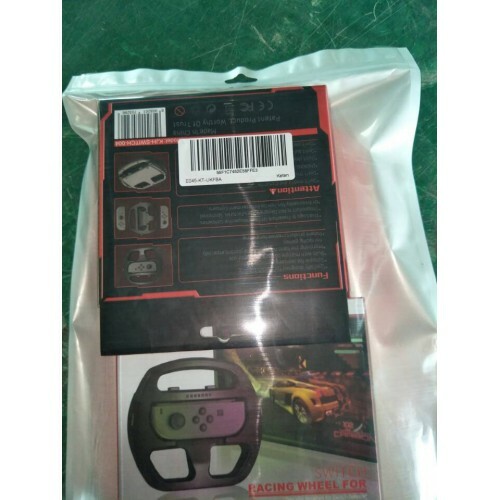 Steering wheel grip makes driving in games like Mario kart considerably easier, and easier to play for new or young players. 4. 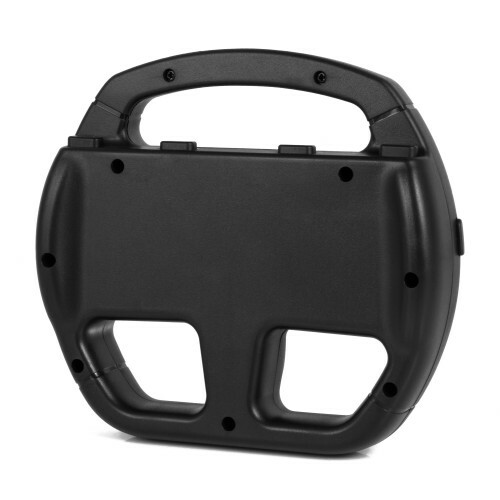 High quality PC material and are in compliance with requirements of ROHS. 5. This item includes 2 Black Joy-Con Wheels. Nintendo switch and joy-con is not including. Simple and elegant designed specifically for Nintendo Switch. 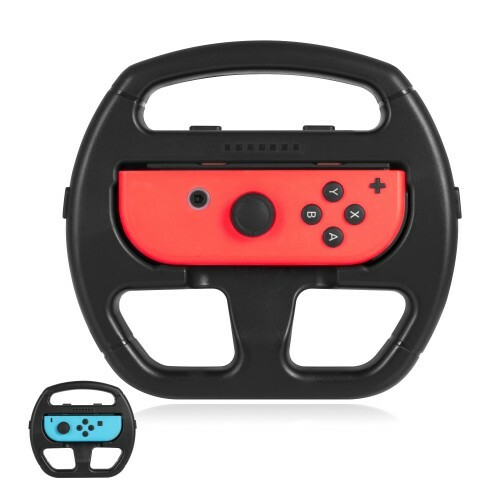 Simply slide your joy-con* into the central panel of the steering wheel attachment, to become a fully compatible racing wheel for all steering wheel compatible games on the Nintendo Switch. 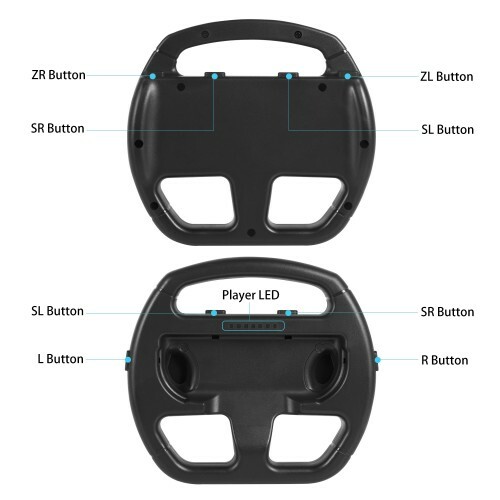 Touch is the best, easy to use, simply put your Nintendo switch into this central panel until it fully compatible with this grip kit, don not need any tools. 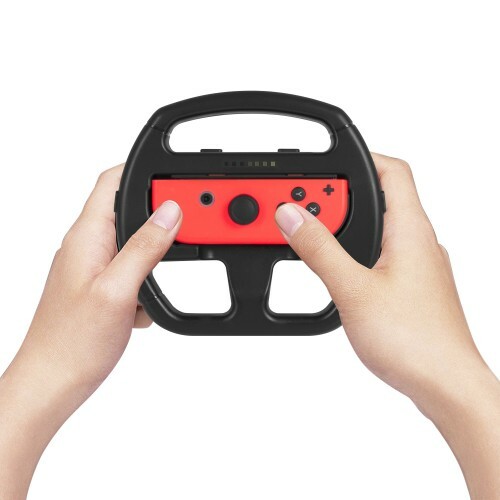 Steering Wheels allow you to have a truer driving experience when playing on your favorite Nintendo Switch racing games. Made of high quality material to provide superior grip and enhanced comfort when playing games, perfect for those extended, high-stress gaming sessions. 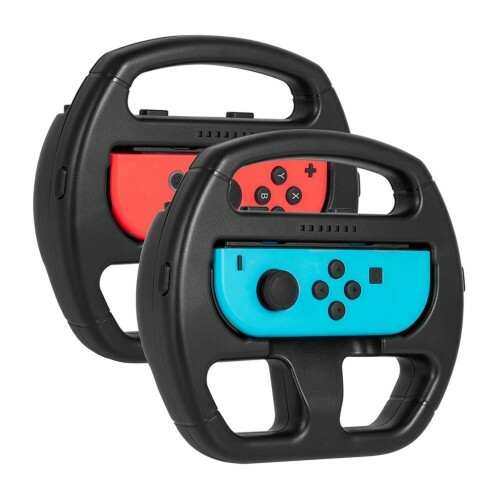 This Pack Contains 2x Black Wheel attachments for Nintendo Switch Joy-Cons. 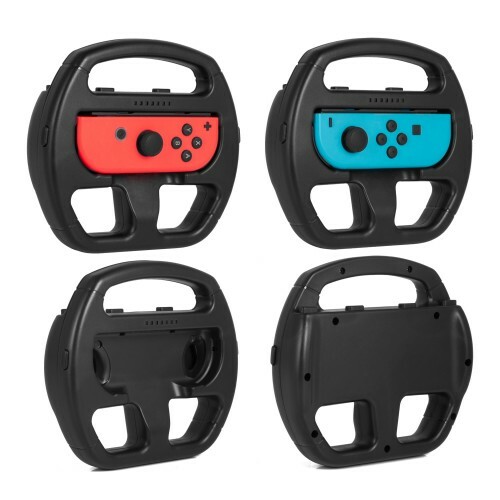 * (each wheel is compatible with either joy-con).